Global Refinishing - Global Refinishing & Bathtub modification Systems Corp. Thank you for visiting our web site and giving us the opportunity to introduce you to the little known concept of “One Day Remodeling”. The average home owner’s first thought when you mention the term remodeling their kitchen and bath is to “Tear out and Replace” the room.Since kitchens and baths are the rooms that usually have the most hard surfaces these are where the largest challenges and expenses occur. Complete or Conventional Remodeling involves messy tear out of not only the fixtures but also removal of the floors, beams, walls, then rebuilding the rooms from scratch using new materials. The benefits to these options are many, but because of the mess, daily lack of privacy, inconvenience and cost, this is not a viable option for most of us. 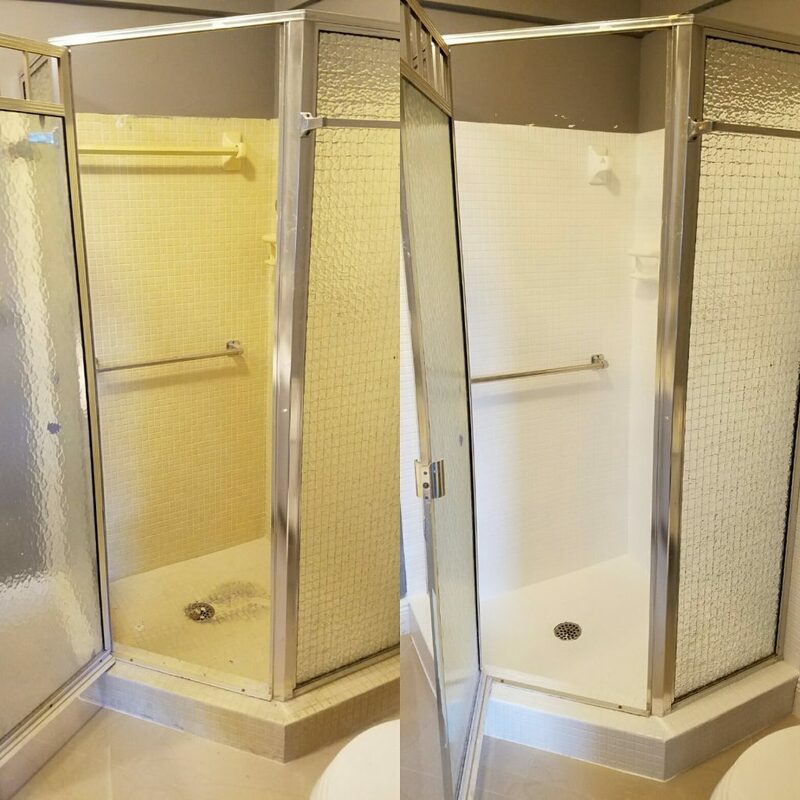 Has your bathtub and tile lost its shine? Have you found them increasingly difficult to keep clean? Or are the colors outdated? We can help! 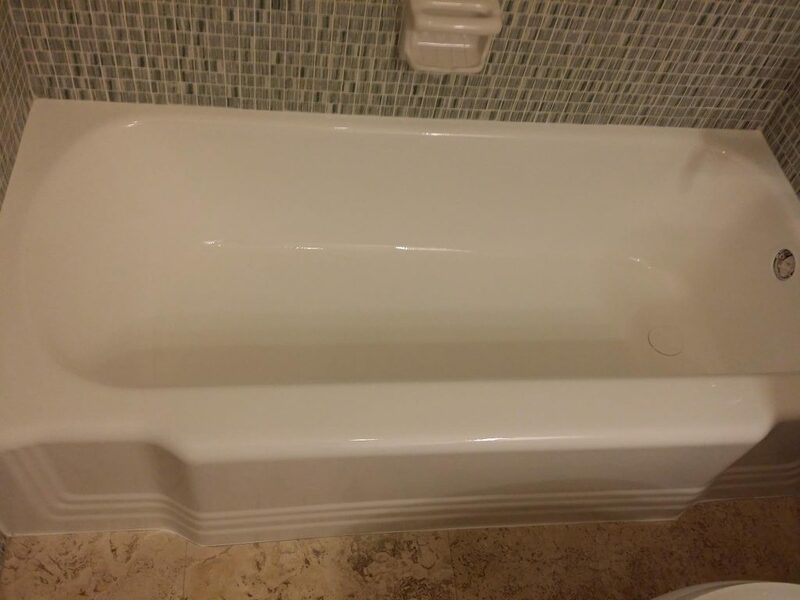 We can reglaze your porcelain or fiberglass bathtub right in place in just a few hours. The same can even be done with your ceramic tile. And we can change the color to almost any color of your choice. The new finish is very glossy and extremely hard, giving it a beautiful appearance and making the cleaning so much easier. Most bathtubs and tile can be reglazed in one day. Here’s how the process works. First we treat the surface, then we apply a conditioner, then an multicomponent silane adhesive. Once that has set we apply our glaze, which gives it a high gloss finish in a new color. The new finish will sparkle, making cleaning it much easier. Would you like the beautiful look of Granite or Corion in your kitchen or bathroom, but without the high cost and mess of installation? Now you can! We can resurface your existing laminate counter top, giving it an amazing solid surface finish. Your new surface is extremely hard and durable. 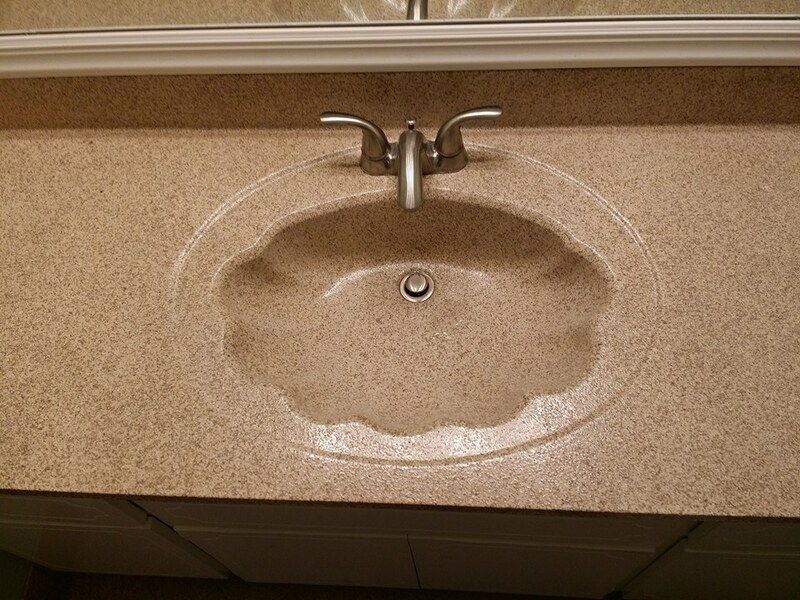 And all of this is done with your counter right in place, with no need of removing the sink. 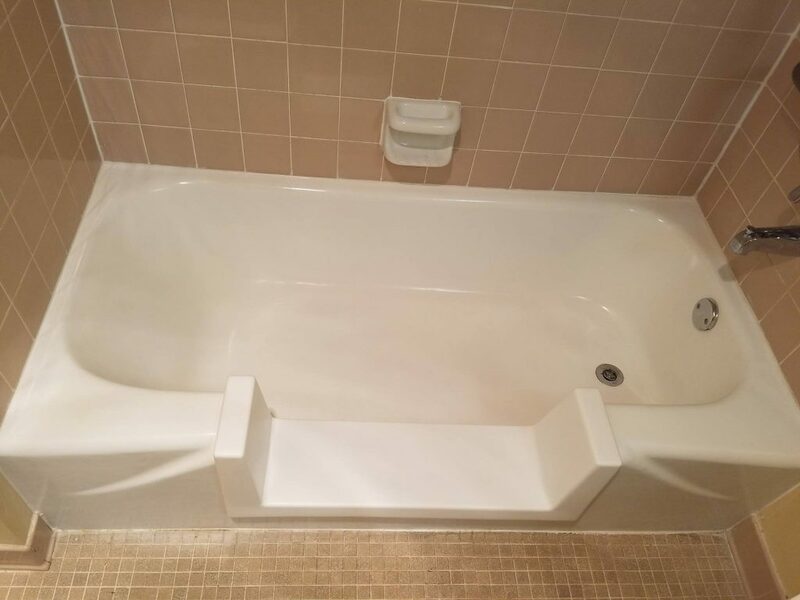 We modify or cut existing tubs for handicap access. Instead of ripping and tearing out which could cost thousands of dollars. We do commercial and residential. The tubs do not necessarily have to be refinished. In about half a day it creates easier, step-thru access in the front of any existing fiberglass, steel or cast iron bathtub. Fortunately there is an affordable way to renew your kitchens and bathrooms without all the hassles, cost and inconveniences of conventional remodeling. This is also known as refinishing, resurfacing or reglazing. The concept and procedure have actually been around for about 50 years but is still mostly not known about to the average homeowner. The final product is a durable, modern looking finish with a five year warranty coverage. Your friends will think you spent a small fortune on a new bathroom. Copyright 2003-2019 Global Refinishing & Bathtub Modification Systems Crop.